The government has extended the cut-off date for linking Aadhaar with Permanent Account Number (PAN) to September 30, 2019. However, it would be mandatory to quote and link Aadhaar number while filing the return of income from April 1, 2019 unless specifically exempted. 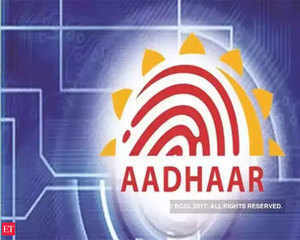 “The matter has been considered by the Central government and now the cut-off date for intimating the Aadhaar number and linking PAN with Aadhaar is 30.09.2019, unless specifically exempted,” an official statement said on Sunday. The Union government has moved a proposal to make a budgetary provision for refunding its share of area-based exemptions on indirect taxes given to certain states in the past. 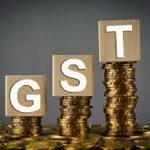 In last week’s meeting of thee goods and services tax(GST) Council, it was decided that ‘all entities exempted under payment of indirect tax under any existing incentives scheme of central or state governments shall not continue under the GST regime and existing units shall pay tax under the GST regime’. Under the discretionary powers left to it by the Council regarding these incentives, the finance ministry has proposed to provide budgetary support for refunding its share in GST to such units to which exemptions in indirect taxes were granted, for promoting industrialisation. The units are situated in Jammu & Kashmir, Himachal Pradesh, Uttrakhand and the northeastern states, In these states, some areas have been catagorised asexcise-free zones and units in those areas were eligible for expemptions. According to a finance ministryofficial, a budgetary provision will be made to refund the central government’s share in those incentives for the residual period of the unit. The refund will apparently be to the extent of 58 per cent of the Centre’s share of GST. Since different units were set up at different intervals and their residual or balance period from the time they were set up could be different, the ministry proposes to calculate budgetary support on a monthly basis, said the source. Certain limitation conditions regarding the benefits assured prior to GST implementation are proposed to be continued. 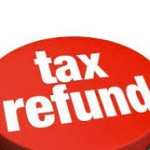 According to the proposal, refund will be calculated after deducting input credit, if applicable for a unit. To ensure a refund is granted well in time, a proposal has been made that a refund application will have to be filed electronically by the seventh of the month succeeding the month in which GST has been paid; the refund will be granted in a month. This budgetary support will be paid from budgetary allocations made to the department of industrial policy and promotion under the ministry of commerce. Gold dore refiners have said if the Centre refunds its share to units in excise-free zones, then several bullion refiners may pass on the benefit to foreign buyers in the form of higher premium payment for procuring dore or unrefined gold. But domestic tariff areas (DTAs) refineries won’t enjoy such benefits and could be deprived of dore, which isn’t freely available. सरकार ने बुधवार रात आगाह किया कि बड़े नोटों का चलन बंद करने के बाद उन्हें जमा कराने की 50 दिन की छूट की अवधि में 2.5 लाख रुपये से अधिक की नकद जमा के मामलों में यदि आय घोषणा में विसंगति पाई गई तो कर और 200 प्रतिशत जुर्माना भरना पड़ सकता है. राजस्व सचिव हसमुख अधिया ने ट्विटर पर यह जानकारी दी. उन्होंने कहा,”10 नवंबर से 30 दिसंबर 2016 की अवधि में हर बैंक खाते में 2.5 लाख रुपये की सीमा से अधिक की सभी नकदी जमाओं की रपट हमें मिलेगी.” अधिया ने कहा,”आयकर विभाग इन जमाओं का मिलान जमाकर्ता के आयकर रिटर्न से करें. उचित कार्रवाई की जा सकती है.” खाताधारक द्वारा घोषित आय और जमाओं में किसी तरह की विसंगति को कर-चोरी का मामला माना जाएगा. अधिया ने कहा कि उन छोटे कारोबारियों, गृहिणियों, कलाकारों व कामगारों को चिंतित होने की जरूरत नहीं है जिन्होंने कुछ नकदी बचाकर घर में रखी हुई है. उन्‍होंने कहा कि इस तरह के लोगों को आयकर विभाग की जांच आदि के बारे में चिंतित होने की जरूरत नहीं है. उन्होंने कहा,’ऐसे लोगों को 1.5 लाख या दो लाख रुपये तक की छोटी जमाओं को लेकर चिंतित होने की जरूरत नहीं है क्योंकि राशि तो कराधान योग्य आय के दायरे में नहीं आती. इस तरह की छोटी जमाओं वाले खाताधारक आयकर विभाग से किसी तरह के उत्पीड़न की चिंता नहीं करें.’ लोगों द्वारा आभूषण खरीदे जाने के बारे में उन्होंने कहा है कि जवाहरात खरीदने वालों को पैन नंबर देना होगा. मोदी सरकार द्वारा 500-1000 रुपए के नोटों को अमान्य घोषित करने के बीच कहा गया है कि यदि आपके पास इन नोटों समेत नकदी है तो आप उसे बैंक में अपने खाते में जमा करवा दें. ऐसे में घर में रखे हुए आपके 500 और 1000 रुपए के अब बैन हो चुके नोट भले की किसी भी प्रकार की सेवा या वस्तु की खऱीददारी करने में काम न आएं लेकिन आप इन्हें बैंक के अपने खाते में जमा करवा सकते हैं. अब यहां ध्यान देने योग्य बात यह है कि जिस बैंक में आपका खाता है, वहां आप जितना चाहे उतना नकद जमा करवा लें लेकिन इन नोटों को जमा करवाने की 50 दिन की छूट की अवधि है. इसमें आप यदि 2.5 लाख रुपये तक की नकदी जमा करवाते हैं तो पेनल्टी नहीं लगेगी. लेकिन यदि आप इस राशि से अधिक की नकद जमा करवाते हैं तो आपको स्पष्ट तौर पर इस धन का सोर्स बताना होगा. यदि इस आय घोषणा में विसंगति पाई गई तो न सिर्फ इस अमाउंट पर 30 फीसदी टैक्स लगेगा बल्कि इस पर 100 फीसदी से लेकर 300 प्रतिशत का जुर्माना भी लग सकता है. यदि आपकी आय का स्रोत स्पष्ट नहीं है और/या आप यह साबित नहीं कर पाते हैं कि यह किस वित्तीय वर्ष की है, तो आपको इस जमा पर तीस फीसदी टैक्स देना पड़ सकता है. इस पर पेनल्टी का प्रावधान भी है. इनकम टैक्स की धारा 271 1 (सी) के मुताबिक, 100 फीसदी से लेकर 300 फीसदी तक पेनल्टी का प्रावधान है. यह पेनल्टी आपके द्वारा जमाए करवाए गए अमाउंट पर लगे टैक्स पर लगेगी. यहां यह स्पष्ट कर दें कि यह पेनल्टी आपके द्वारा जमाए करवाए गए अमाउंट पर नहीं है, बल्कि उस पर लगे टैक्स पर है. आपके अमाउंट के टैक्स पर कितनी पेनल्टी बनती है यह इनकम टैक्स ऑफिशल्स के ‘विवेक’ व अन्य कारकों पर निर्भर करेगा. हालांकि नोटबंदी के बाद सरकार की ओर से इस बाबत कोई खबर लिखे जाने तक नया नोटिफिकेशन जारी नहीं किया गया है और उपरोक्त जानकारी उसी नियम के मुताबिक है जोकि पहले से लागू है. Author adminPosted on November 12, 2016 November 12, 2016 Categories UncategorizedLeave a comment on बैंक अकाउंट में 2.5 लाख रुपए से अधिक जमा करवाने पर क्या होगा? Moving quickly to plug loopholes, the Income Tax Department has asked banks to report all cash deposits exceeding Rs 2.5 lakh during the 50-day window provided to tender the now-defunct 500 and 1000 rupee notes. Previously, banks were required to report to the I-T Department only when cash deposits in an account exceeded Rs 10 lakh in one full year. But in view of apprehensions that large number of illegal or black money may sought to be converted into white during the window provided till December 30, the Revenue Department has issued fresh set of instructions, a top official said. “The attempt will be not to harass honest citizens who are free to tender all of their legal, old high-denomination currency savings in their bank accounts and get new ones,” he said. But the window provided to them will also be not allowed to be misused, he said, adding that the Income Tax Department is keeping a close eye on all high-value deposits. Those depositing large amounts of unaccounted money will have to face the consequences under tax laws, which provide for a 30 per cent tax, 12 per cent interest and a 200 per cent penalty. 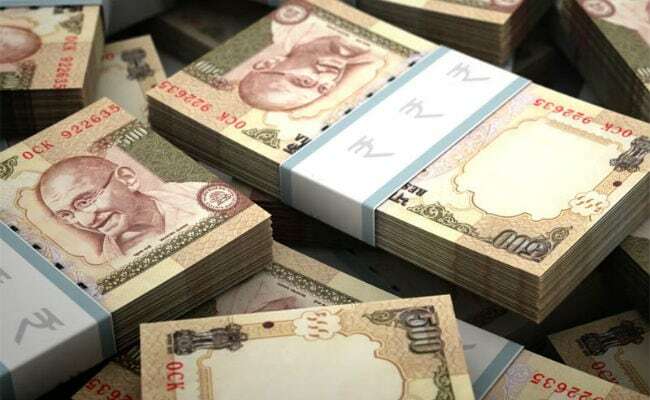 Earlier in the day, the Finance Ministry came out with newspaper advertisements assuring people that their hard earned money is safe and that depositing junked Rs 500/1,000 notes of up to Rs 2.50 lakh in bank accounts will not be reported to the tax department. Besides, the ministry said, farm income continues to remain tax free and can be easily deposited in bank. Small businessmen, housewives, artisans, workers can also deposit cash in their accounts without any apprehensions, it added. 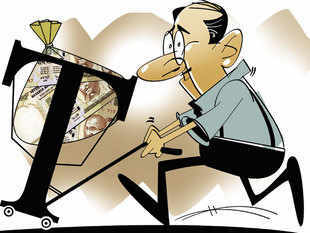 “Deposits up to Rs 2.50 lakh will not be reported to the Income Tax department. There will be no harassment or investigation. All honest citizen need not worry. Farmers’ income is tax free and can be easily deposited in bank,” the ministry said in newspaper ads. 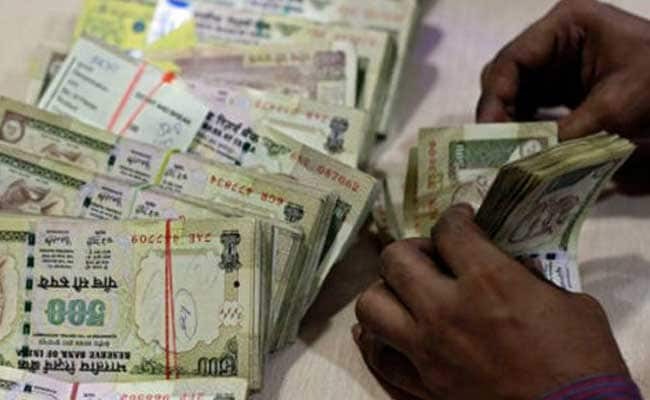 In its biggest crackdown ever on black money, the government on Tuesday night announced demonetisation of Rs 500 and Rs 1,000 notes and asked people holding such notes to deposit them in their bank accounts. Since yesterday, people have been thronging banks amid concerns over exchanging and depositing the scrapped high denomination currency. People can deposit defunct Rs 500/1,000 notes in their accounts till December 30, 2016, without any limit. Besides, old notes worth up to Rs 4,000 can be exchanged at any bank or post office till November 24, 2016, by showing photo ID proof. ATMs can be used to withdraw up to Rs 2,000 a day per card till November 18 and Rs 4,000 from November 19 onwards. This limit too will be reviewed subsequently. The ministry also advised people to make payments using cheques, demand drafts, debit or credit cards and electronic fund transfers and there is no restriction on such transactions. “In view of the large volume of pending refunds which are subject to proceedings under section 245 and the timeline of 30 days for responding to the notice allowed to the assessee and the same time period allowed to the assessing officer to confirm or correct the demand, it is taking too long for the demand to be verified and the refunds to be issued, leading to rise of grievances. “With a view to clear the pendency of refunds which are subject to verification under section 245, it has been decided that the timeline of 30 days for the assessee and the assessing officer may be reduced to 15 days with regard to the notices issued under section 245 to be issued in the balance period of the current financial year,” an order issued by CBDT said. This is a one-time measure to clear the backlog of refunds and accordingly the reduced timeline of 15 days shall be valid only till March 31, 2016, it said. A senior official said this is possibly the first time that the department has been issued such directions vis-a-vis clearance of refund cases and the timeline to issue refunds has been reduced to 15 days. Central Board of Direct Taxes Chairman Atulesh Jindal has himself approved the order, he added. The order pertains to refunds pending till the 2015-16 financial year. As part of its aim to ease refunds, CBDT had sometime back directed the IT department to take “urgent” steps and resolve by March-end tax demand disputes worth over Rs 16,000 crore of more than 1.49 lakh taxpayers. The directions pertain to notices issued by the taxman to a number of assessees under section 245 of the IT Act for 2015-16 fiscal where the latter have contested the demand raised and have emailed their response to the CPC. An official data had said an outstanding amount of Rs 16,590.22 crore is locked in disputes as 1,49,321 individuals or entities have raised objections to demands made by taxmen. “As many of these cases are time-barred by March 31, 2016, the jurisdictional assessing officers may be impressed upon to examine the response of the taxpayers urgently and take appropriate action in respect of such demand entries..,” the CBDT had said in a recent order. The Board had said that when a taxpayer contests a demand, the CPC should issue a reminder to the AO concerned about the contention of the assessee, asking them to either confirm or make appropriate changes to the demand within 30 days. “In case no response is received from the jurisdictional AO within the stipulated period of 30 days, CPC would issue refunds without any adjustment,” the CBDT order had said. The delay in processing and issuance of IT refunds had also attracted the attention of Prime Minister Narendra Modi last year and, after a review of the subject, he had directed the CBDT to resolve these issues promptly. In yet another step aimed at reducing human interface between taxman and the taxpayer, the Income Tax department today operationalised a facility for e-filing of the first appeal before a tax officer. The department said the facility of filing the appeal form, like filing Income Tax Returns (ITRs), can be done using a digital signature from now on, while the Electronic Verification (EVC) facility for the same using the Aadhaar, mobile number and email id will be activated soon on the official web portal of the tax department —http://incometaxindiaefiling.Gov.In/. The existing two-page document used for this, called ‘Form No. 35’, has been re-formatted by the department recently so that it can be electronically uploaded on the e-filing portal of the department. In the new e-form, an applicant or taxpayer seeking appeal against an Assessing Officer’s order has been given an avenue to append ‘Statement of Facts’ in 1,000 words as also furnish the grounds of appeal in another 100 words. Documentary evidence can also be appended to the new form by an assessee using the electronic internet-based facility. The IT department has four stages of appeal mechanism for the assessees to put forth their grievance beginning with the Commissioner of IT (Appeals), the Income Tax Appellate Tribunal (ITAT), the High Court and finally the Supreme Court. The new form is applicable for the CIT (Appeal) fora and those taxpayers who file e-returns will be eligible to use this new facility. The systems wing of the department will soon roll out detailed procedures for taxpayers to begin using this facility, a senior official said. “Electronic filing of appeal along with the documents relied upon before CIT (Appeals) will remove human interface, reduce paperwork and decrease the transaction cost for the taxpayer. It would ensure consistent and error-free service as validations will be in-built, resulting in fewer deficient appeals. Online filing will also facilitate fixation of hearing of appeals electronically. “The new format for filing of appeals is more structured, objective, systematic and aligned with the current provisions of the Income Tax Act,” the Central Board of Direct Taxes had earlier said. Taxpayers can then select to login with any one or multiple options of the higher security methods namely — Using Aadhaar linkage to generate OTP, login through Net-Banking or login using Digital Signature Certificate (DSC). Once this has been done, any future attempt to login will require the additional check of OTP using Aadhaar or the taxpayers will have to login using net banking or login using DSC. By using this facility, taxpayers can prevent anyone from logging in even if in the past they shared the user id and password. The dual factor authorization ensures higher degree of security compared to the simple user ID and password. Similarly, taxpayers can also select how their password can be reset. Once the taxpayer has selected reset password using any one or multiple options of the higher security methods namely ? Using Aadhaar linkage to generate OTP, Login through Net-Banking or Login using Digital Signature Certificate (DSC), then no other person will be able to reset taxpayer?s password even if the secret answer or E-filing OTP etc is known. Income Tax Department strongly advises all taxpayers to use a strong password (combination of at least one uppercase, one special character and one numeral) and select the E-filing Vault option to add an additional layer of security to the their E-filing Account to login and resetting of password. The new initiative has come after Prime Minister Narendra Modi recently held a meeting on the subject on March 23. According to high priority to issues related to taxpayers’ grievances, CBDT has brought a new mechanism where top officers of the IT department have been allotted a specific quota of complaints to monitor and track, from their origin to successful resolution. The new initiative has come after Prime Minister Narendra Modi recently held a meeting on the subject on March 23 under the Centralised Public Grievance Redress and Monitoring System portal where he expressed the view that “high-level monitoring of public grievances is necessary”. Following the prime minister’s instructions, a senior official said, the Central Board of Direct Taxes has ordered that all members of the Board and officers in the ranks of Principal Chief Commissioner and Principal Directors General will “personally examine” 10 grievances each, every week. Similarly, all Chief Commissioners, Principal Commissioners and Commissioners of Income Tax will individually monitor 20 and 30 grievances respectively, every week. Department of Administrative Reforms and Public Grievances for review, they said. The official said the measure will not only ensure accountability in effective grievance redressal but also give a clear and real-time picture of the subject. CBDT has also recently created a new structure in the IT department to exclusively deal with taxpayers’ grievances and complaints related to delay in issue of refunds, problems in filing tax returns among others. Income Tax department has activated the Aadhaar and net banking-based e-filing verification system for taxpayers to file the first appeal before a tax officer, on similar lines of online ITR filing. In order to reduce the interface between taxman and the taxpayer, the department has recently operationalised the maiden facility on its official e-filing portal. “One EVC can be used to validate one form of the assesse irrespective of the assessment year. The EVC will be stored against the assesse PAN along with other verification details. The EVC will be valid for 72 hours or as otherwise specified,” a notification in this regard said. The Electronic Verification Code (EVC) works by way of generating a personalised OTP by using the Aadhaar database or the net banking identity of a filer or entity. The OTP is subsequently sent to the personal email id or mobile phone of the filer for validation and subsequent process of filing. The facility of filing the appeal form, like filing Income Tax Returns (ITRs), can also be done using a digital signature on the official web portal of the tax department — http://incometaxindiaefiling.gov.in/. The existing two-page document used for this, called ‘Form No. 35’, has been re-formatted by the department recently so that it can be electronically uploaded on the said e-filing portal. Documentary evidence can also be appended to the new form by an assess using the internet-based facility. In view of launch of this facility and activation of a select category of ITRs last week, the taxman had also asked filers to “update their profile and select higher security option to secure their e-filing account” created over the portal.